Dakota is a lifelong performer with world experience, beginning her show business career during her first years of life under the wing of her parents. Born on the summer solstice in Santa Monica, California, Dakota first modeled with her mother, New York model Suzanne Mitchell in Chicago, Illinois at the tender age of one. At the age of two, Dakota appeared in her father, musician and activist Robby Romero’s award-winning Native Children’s Survival music videos ALL THE MISSING CHILDREN and IS IT TO LATE. ALL THE MISSING CHILDREN first screened at the Brooklyn Academy of Music (BAM) Cinema in Brooklyn, New York. Prefaced by President Mikhail Gorbachev’s historic environmental message at the Global Forum of Spiritual and Parliamentary Leaders in Moscow, IS IT TOO LATE was broadcast around the world from the Kremlin and premiered at the United Nations General Assembly in New York City during the United Nations Environment Programme (UNEP), Children and the Environment Project. Dakota went on to perform with an international children’s choir at the 1992 United Nations Earth Summit in Rio de Janeiro, Brazil. She hit the road with her father on the groundbreaking 1994 Red Thunder Indian Country Tour, the U.S. 1995 Blues Traveler-founded tour, H.O.R.D.E. Festival and again with the following summer’s H.O.R.D.E. Festival Tour. She sang and danced with Red Thunder, Blues Traveler, Rickie Lee Jones, Rusted Root, and Natalie Merchant, all before the age of 10. Dakota quickly began exploring another passion and art form that runs in her family, acting, as she appeared in plays and musicals in Los Angeles. After graduating elementary school, she earned the lead in the indie film short, HIDDEN MEDICINE. This experimental film was produced by Cannes Film Festival Palme d'Or winner and two time Academy Award-nominee Roland Joffé, co-written by Chief Oren Lyons and written, directed and scored by her father. HIDDEN MEDICINE premiered at the 1999 Sundance Film Festival and screened at the American Indian Film Festival, the United Nations in Geneva, Switzerland and went on to air in the “Best of Sundance Film Festival” series on Sundance TV. With no intention on leaving music behind, during high school, Dakota crafted and recorded her unique version of Marvin Gaye and Diana Ross’s hit single, MY MISTAKE which was featured in the rockumentary film, AMERICA’S LAST FRONTIER. After high school, Dakota entered Loyola Marymount University to study classical music. While on the tour, Dakota sang in three languages – Lakota, Hebrew, and English – and she became friends with the diverse artists bridging cultures. The performances they did together bonded them into an unorthodox family. Following the tour, Dakota joined her father, Carlos Santana, Peter Maffay, and Yusuf Islam (a.k.a. Cat Stevens) in a Concert for Peace in Bochum, Germany. Dakota had the distinct pleasure of performing with and singing Carlos Santana’s classic hit OYE COMO VA. Continuing her education, Dakota studied abroad in Paris, France. Love, passion, and The City Of Light inspired her to write her first song titled after the city itself, PARIS. After graduating with a B.F.A. in Music, Dakota was invited to attend and perform at COP15, the United Nations Conference of the Parties on Climate Change in Copenhagen, Denmark. Attending meetings and singing at various events during COP15 including the Indigenous Peoples Day Celebration at the Museum of Denmark, her involvement reinforced how Dakota wants to live her life and how passionate she is for the rights of Mother Earth and all peoples. Upon her return from Europe, Dakota began writing with a diverse group of artists and musicians and performed at renowned venues in Hollywood and in the Southwest including the House of Blues, Conga Room, Santa Fe Band Stand, Taos Plaza Live, and the Taos Performing Arts Center. She sang and performed in the Native Children’s Survival music picture WHO’S GONNA SAVE YOU that was broadcast on SABC Africa during the United Nations Conference of the Parties on Climate Change, COP17 in Durban, South Africa and screened during the Permanent Forum On Indigenous Issues at United Nations Headquarters in New York City. Following her Grandmother's transition and journey to the spirit world on 11 June 2012, Dakota’s beautifully haunting debut recording of the culturally iconic song LA LLORONA (English: Weeping Woman), dropped on 11 June 2013 and debuted on KXMT 99.1 FM Northern New Mexico. The LA LLORONA music video was released on the Day of the Dead (Spanish: Día de Metros) 1 November 2013. Dakota’s performance is dedicated to the memory of her Grandmother. In 2015 Dakota once again found herself in Paris and at another historic United Nations Conference of the Parties on Climate Change, COP21. On the occasion of the closing ceremony of ArtCOP21, an exploration of the cultural stakes of climate change, Dakota closed the programme with her unique voice and multicultural style at the Gaîté lyrique in Paris, France where more than 200 artists, poets, professionals, scientists and thinkers imagine together other narratives and other perspectives to reinvent our world. During the #NoDAPL movement in 2016, Dakota traveled with her father and Dennis Banks to Oceti Sakowin Camp at Standing Rock. There she met up with friends and colleagues who were participating in the #WaterIsLife spiritual resistance to protect the Missouri River from Energy Transfer Partners and the Dakota Access Pipeline. In 2017 at Capital Records Studios in Hollywood, Dakota recorded and performed with fellow artists Ta'Kaiya Blaney, Raye Zaragoza, and the legendary Kris Kristofferson on the single and music picture BORN ON THE REZ. For the release of Raye Zaragoza's FIGHT FOR YOU, Dakota sang and performed with Raye in New York City, Los Angeles, and at Indian Market 2017 in Santa fe, New Mexico. Together, with her partner, International Ambassador of Dominican Arts, Edwin M Ferreras, Dakota founded Areíto Arts, named after the all-in-one Taíno word for rhythm, song, dance, and gathering. Areíto Arts is an educational dance company based in New York City focusing on Afro-Carribean Rhythms and Roots. 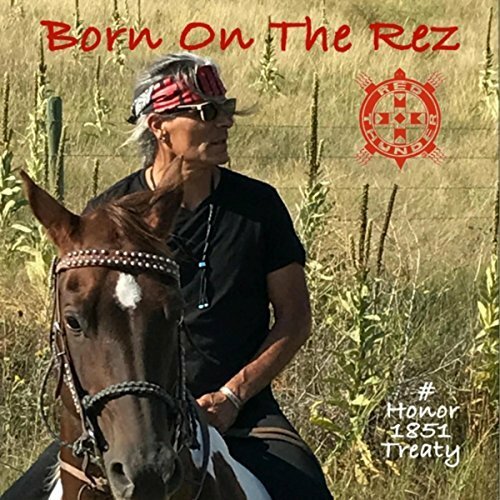 Dakota’s ethereal vocal style can be heard on the 2014 single IRON HORSE , the 2017 single EARTH REVOLUTION, and the 2018 single BORN ON THE REZ.